1) the length of time a participant had been going to MI was correlated with how old they were when they last received services. Given that receiving MH services was not correlated with length of time at MI, It’s possible that going to MI in some way must supplement treatment in such a way that more time spent there, the more likely a person is to have recently received treatment somewhere. 2) “Dropping in” to MI (as opposed to social events, workshops, or open mic events) was correlated both with being on probation or parole and having a history of substance or alcohol misuse. This correlation is pretty interesting and again, deserves more attention. It basically tells me that people who live restricted lives see MI as a place where they can spend time (and we know they are spending time there positively). This is key because MI is providing a haven that they might not be able to access otherwise. 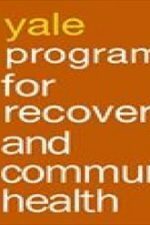 It would be interesting to see if participating in a program like MI is associated with something like reduced recidivism or reduced substance misuse.